I just bought this gel liner from Maybelline. Many people had recommended this product to me and I finally received my buy a week ago. I wanted to try the product a couple of times before reviewing it. So, after using it everyday for the past week, here is my honest opinion. The product is priced at Rs. 450, which seems steep but is quite affordable as compared to the other gel liners in the market. The product comes in an attractive square-based pot that holds 2.8 gms of the gel liner. You might be dissapointed at the amount of product, but the product quality makes up for that. 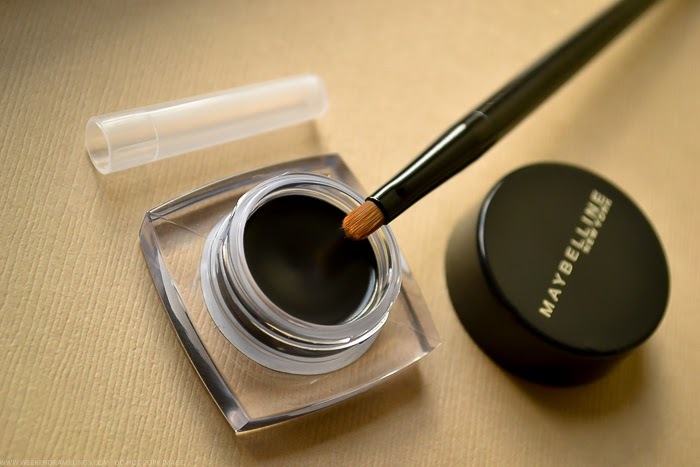 The brush has good control and you can use it to create the perfect liner shape without much effort. The liner is highly pigmented. The product glides over and transfers to your eyelids quite easily. Since I have oily skin, I found that the product did not dry up as fast as I would have liked it to. the product lasted for a good eighteen hours. I wonder who can verify about the 36-hour claim by Maybelline, though. I love the product and totally recommend it!! Accessorize Your Way To Being The College Diva! ZOUTONS.COM: THE LOOT IS ON! !